I find it interesting how nature takes care of itself. There’s the growing season and after the harvest, then a period of rest . . . then back to new growth. So, if nature does this naturally, do we as humans run through similar cycles? Usually a new school year begins in the fall . . . the spring brings a closing . . . then summer vacation which sometimes brings catching up or getting a head start on the fall . . .
I’ve always thought of fall as the new beginning, but as I walk in nature I see new growth all around me. The rains come to water and nurture the new growth . . . and our thoughts go to spring cleaning . . . and maybe new beginnings by taking care of things that need to get done . . . or thoughts of beginning a new life with someone special . . . or planning a vacation to rest and reflect . . . even contemplate one’s future. Maybe I’m thinking of “change” because of the political climate. An election year . . . change . . . perhaps . . . We won’t know until election day in November. But the summer will bring the opposing candidates together in debate and discussions . . .
With the new elected officials being announced in November, but not taking office until after the New Year. It seems we do have to wait . . . wait through the seasons . . . and with each season . . . experiencing the changes nature brings . . . When it comes to change . . . we can only change ourselves . . . our behavior . . . our thoughts . . . our actions . . . We’ve probably made adjustments throughout the year. I know when I was attending school, I was in a constant state of change . . . focusing more on one subject or another . . . then once I got a handle on that, gave more time to another subject . . .
School was probably preparing us for life . . . for work . . . for our own homes . . . our families . . .
I’ve thought about taking more pictures. I did get a new printer . . . and I haven’t used my “new” camera as much as I anticipated when I bought it a couple of years ago. I’ve been thinking of making videos. I’m not much of a vlogger, but I thought recording paper craft projects would be fun. Perhaps a reason for doing paper crafts in the first place. I’ve decided not to get caught up in the news casts and all the election stuff. I like being informed, but I don’t need to get all tangled up in it. Many of my friends have found that just being informed is enough. When they spend half a day listening and watching, they find they become anxious and unhappy. They worry . . . they become very concerned . . . So, it’s best to be informed and then do something that is enjoyable and relaxing. The thing is, we can’t control the beliefs and actions of others. We can only do that for ourselves and our families. And we need to make our life as pleasant and enjoyable as possible for ourselves and for those around us and those who mean the most to us. We can’t help others if we’re anxious and angry. And we need to unplug from the “noise” and do something relaxing. You can play a card or board game, make something out of paper, cook . . . learn something new . . . something you’ve always wanted to do. Or even relax with a jigsaw puzzle . . . or a good book or DVD . . . maybe even listen to music. 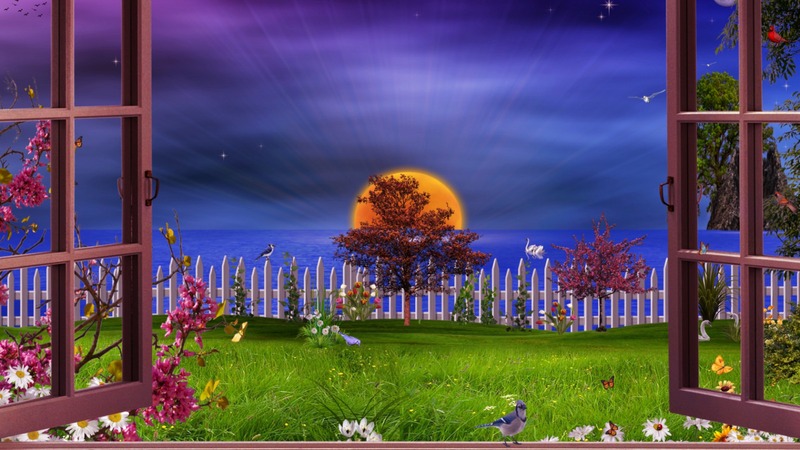 Spring is an excellent time to enjoy nature and to move away from the stresses of life . . . Yes, and life does bring us unpleasant things to deal with from time to time. A friend of mine is grieving the decline in health of her father. It is very difficult for her, but she keeps herself busy . . . doing things that allow her to relax and sleep so the next day she will be there for her father. He depends upon her as does her own family and siblings . . . They work together to support one another . . . as does her friends . . . This spring does remind me of a spring 10 years ago when I lost my mother and another spring 8 years ago when I lost my father. Time does heal, but . . . even after the grieving . . . there are times I do feel the void. It’s not that I want to fill the void, but to reflect positively and productively . . .
And for many of you, you may have a different season of loss . . . remembering . . . and reflection . . .
I’ve always wondered about “spring fever” . 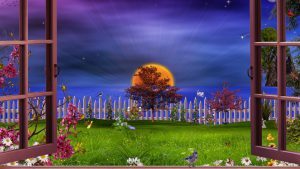 . . is it only during the spring or does it occur at different times? I thought mine was in the fall . . . wanting to do so much more than what I was supposed to be doing . . .
Isn’t that what “spring fever” is about? Thoughts wandering . . . instead of focusing upon tasks at hand . . . This post is a wandering piece of my thoughts . . . ramblings . . . perhaps sorting out what is truly important and what isn’t. Are you going through something similar? I appreciate your stopping by and reading this post. If you’d like to leave a comment, please do. Are You Familiar With Flip Books? These are primarily for pin pal creations that you send through the snail mail service. They’re relatively small books that include a letter and a mail tag where you ask questions or give information — it’s your choice. The pages are decorated much like a scrapbook page with various embellishments. There are also little fun gifts or goodies included. So, it’s a paper craft project you intend to put in the mail. It is more than a card . . . it is much more elaborate. A flip book is typically 3 double-sided pages put together with washi tape. You can make it much larger if you wish. It would be worthwhile for you to check on YouTube for a video tutorial. There are several wonderful videos that will get you started. 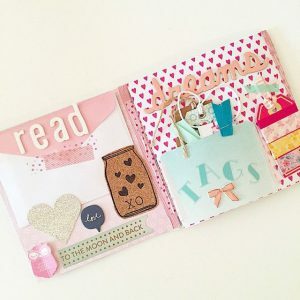 They remind me a bit of a scrapbook — the old fashioned ones where you find interesting things and do some writing or stamping or cut out letters to put together to spell out your own sentiments . . . there are many things you can add to it. Then I thought it wasn’t the purpose. But, then again, it is a craft that you create and you can use the flip book concept and do as you please. You’ll notice that of the various YouTube Videos on the subject that everyone has their own way of embellishing them. The one true thing is that it is to be mailed to someone . . . or given to someone . . . But I see no reason why you can’t make them for yourself on various topics. These may be good to make and include with recipes with your various cookie exchange programs or whatever you’d like to “swap” with others. I think it would be fun to use these for template swaps . . . and with the various pockets you put in them, there would be plenty of room to tuck quite a few in them. Much depends upon who you’re swapping flip books with . . . people may have very specific “requirements”. If it’s just to do your own thing, then you can do them however you wish and the recipient will be overjoyed. Many people add flip-ups, flip-downs, and flip-outs — either right or left . . . It is natural in mini albums to add pockets and belly bands . . . and add other page attachments, thus the flips. I’m sorry if my confusion about flip books isn’t making this concept clear. I’ll try to explain it again. Flip books are for mailing . . . communicating with another person much like a greeting card, but with a much more creative flair. People use stickers and they can make their own paper decorations with ink or watercolor, stamps, etc. It is excellent for multi-media creations.It’s an excellent way of sharing various craft ideas with other crafters . . . paper crafters primarily, but it may not be limited to that . . . It is amazing what people can put together in a flip book. And to add to the confusion . . . Remember those flip books that were animations? They could be a stick man running or a ball bouncing . . . little pieces of paper stapled together and you’d flip through them . . .
That’s not what we’re talking about here . . . But, it’s worthwhile to bring up. Names have changed meaning over the years . . .
To be honest with you, I hadn’t made the connection until I was searching for images to include in this post. I do remember making them. We’d use a tablet and draw illustrations on the bottom of the page, with each picture a slight variation . . . it looked like the man was running or the boat was rocking or the waves were rising . . . or the ball was bouncing . . .
Actually . . . now that I remember them, they were quite fun. You could have your stick figure dancing or climbing a mountain . . . They were fun and quite amazing to flip through. 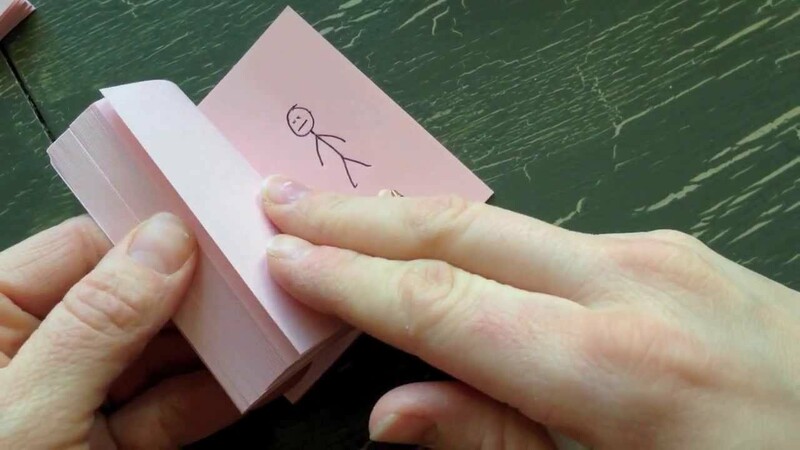 You’ll need a lot more paper, but I imagine if you want to try it out get a bulldog clip and fasten it to a post-it-note pack and have some fun drawing . . . then flip through the pages rapidly with your thumb . . . and it’s animated!! Wow!! Going down memory lane is quite enjoyable!! Having Problems Getting All Of Your Recipes Organized? There is help on the way! Just click the image to the right for the download of the recipe binder pages. I’m always saying I’m going to organize my recipes, but I never do . . . they’re stuffed in drawers and in recipe books, I also have a file folder full of them in a drawer . . . And everywhere I look, I find another recipe. Enough!!! This is finally the time for me to get my recipes organized!! I’d add seasonal recipes or make another recipe binder for Halloween and another for Christmas. 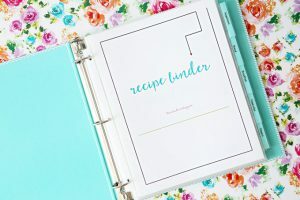 Depending upon the number of recipes you have, you may need to have several binders. This is an easy way to get started with organizing your various recipes. And these would make great gifts for your family and friends. I’m sure there are many people who could benefit from this recipe binder. You can make it your own by personalizing it . . . not just with your own recipes, but with your own drawings and paper crafts. As I said earlier, I do need to organize my recipes . . . and this will help me get started on the task. I hope you found this helpful and will download the PDF file of pages. I found this on Pinterest and couldn’t resist adding it to my blog. These are but 5 Dr. Seuss True-isms . . . I’m sure there are dozens more that you enjoy and may apply to your life. Some of the stories were probably your favorites . . . all because they seemed to speak to you . . . giving you some insight to something you had been thinking about . . . or it just made you feel good . . . or made you laugh. Even as adults we have learned many things from our childhood that has stuck with us. These are our personal true-isms. Thoughts and ideas we pass down to our children . . . and grandchildren . . .
We continue to learn . . . years after we’ve finished school . . .
We learn from books and movies . . . there is something that resonates within us . . . It could be a greeting card we received . . . Or even something we observed while taking a walk or bike ride . . . There is inspiration all around us . . . we just have to stop long enough to see . . . to hear . . . to think . . . In my senior year of high school we had a “ditch day” . . . with planned activities . . . Yes, there were the rehearsals for the graduation ceremony and then we went to the park for lunch . . . then we were free to go home for a nap because we had a Disney Grad Night celebration . . . I remember that picnic lunch in the park . . . years later, I’d drive by and remember . . .
Then, decades earlier I stopped and walked through that area of the park. I even sat down . . . lost in memory of that day . . . a day when the 12 years of education came to an end . . . a time to plan for a future . . . yes, college . . . some friends were getting married . . . others had jobs . . . I sat there . . . alone . . . remembering . . . thinking of all those kids . . . their dreams and goals . . . Yes, I achieved my goals . . . as far as it went . . . with life lessons thrown in . . . I do feel very fortunate and have been blessed by many who have come into my life . . .
No, I haven’t returned to the park . . . I remember it . . . but I have my own place to go for reflection . . . to see . . . to hear . . . to dream . . . and to remember . . .
My grandmother would stop every afternoon and have a cup of tea with a couple of cookies or a Danish . 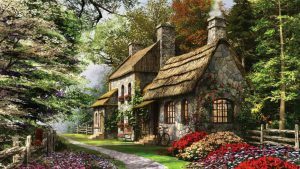 . . and she would sit quietly in her kitchen and sometimes sit on her front porch. It was her quiet time . . . Wherever her thoughts led her, I don’t know . . . she never shared them with me . . . but I imagine they may have gone to similar places where my thoughts take me . 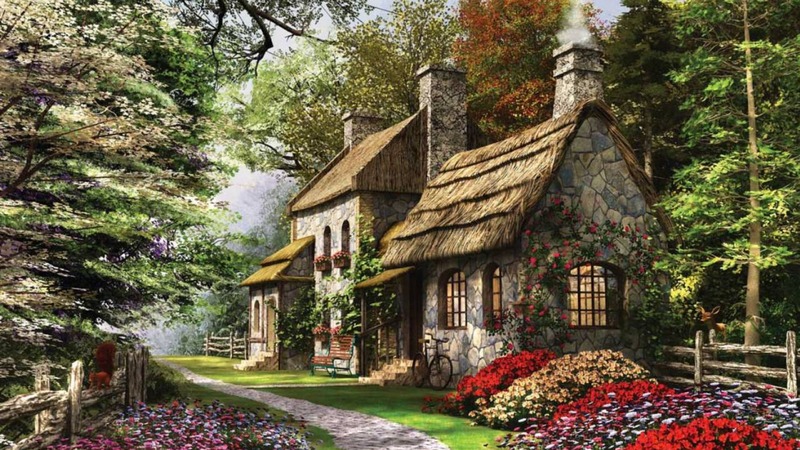 . . maybe she sat with her mother or grandmother in the kitchen having a cup of tea and a couple of cookies . . . sitting still and quiet . . . maybe she thought of those days . . . or of stories she read or was told so long ago . . .
Our thoughts can take us on wonderful journeys . . . to the past and even the future . . . we can imagine so very much . . . if we just stop long enough . . .
We are living in a miraculous age . . . the internet opens a whole new concept of communicating with people around the world . . . even communication with our friends and family has improved . . . 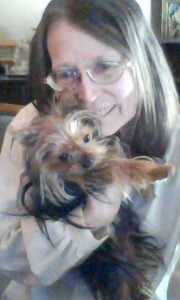 I have a couple of friends I met in my internet marketing group who do Google Hangouts regularly . . . It’s real time face time . . . They are thousands of miles away from me, physically, but it’s like we’re right there visiting . . . we’re all sitting in front of our computers in the privacy of our own homes . . . but we’re together . . . but separate . . . That’s a mind-binder . . .
People can take classes on-line . . . they can do crafts together . . . they can visit with several friends or family members via the internet and a URL address . . . My grandmother couldn’t imagine such a thing . . . nor could I a few decades ago . . . It is really something . . . 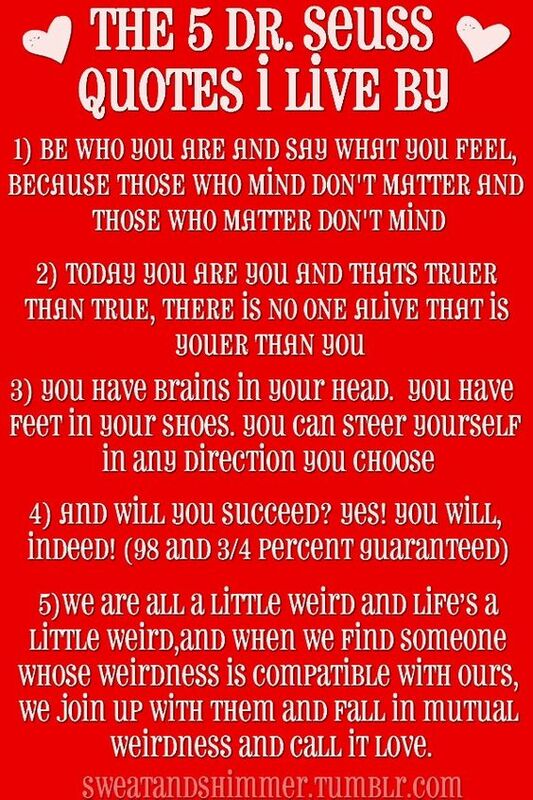 I hope these Dr. Seuss true-isms gave you some food for thought. I’ve conducted my own study of blogs and vlogs . . . and video tutorials . . .
People do love talking about themselves and what they’re doing . . . or about members of their family . . . which includes friends . . . I don’t seem to share a lot about what I’m doing . . . but maybe I do more than I realize. I do love holidays and special occasions that we have in common. TwoCansOnAString.com is about sharing crafts and recipes and products . . . just stuff I find interesting and may also be of interest to you. I love giving free printables and templates so you can make your own without having to join some membership site or buy them . . . I do appreciate all that the internet has to offer . . . for free . . . I do understand how some people do need to make money in order to keep their websites running . . . and to review products . . . to buy supplies and materials for their craft tutorials . . . or to afford to go where they need to go to vlog about different locations . . . There are many vloggers and YouTube Video Makers who do make a nice income from what they’re doing. I think that’s great! I love success stories!!! Many are very generous in telling you how they make their videos, how they get subscribers, what equipment they’re using, how they set up their video studio . . . and the list goes on and on and on . . . They have a confidence about them . . . they love what they’re doing . . . they’re having fun . . . they have a great personality that draws you in . 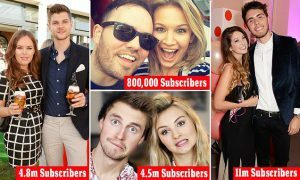 . . and there are probably hundreds more ingredients that are necessary for a successful YouTube Channel with hundreds of thousands or even millions of subscribers. The good news is that everyone can do it . . . the same with having a blog . . . your degree of success may differ considerably, but you can give it a try and see what develops. Study the blogs and videos you enjoy . . . see what they’re doing that is so entertaining . . . decide what you can do that would be beneficial to others . . . and that you would enjoy doing . . . Success comes in various forms . . . and comes at varying time frames . . . some people achieve success right away while others struggle . . . and never reach the level others have achieved . . . This isn’t to discourage you . . . it’s just to not set you up for major disappointment. This reminds me of a video I saw a few weeks to a month ago where someone signed up with a crafting site . . . a multilevel marketing venture . . . it does cost money to make money in some of those business opportunities . . . plus you need to sign people up under you . . . and since this is a crafting MLM, it’s an excellent way of building up your inventory or craft items in order to video making various products . . . I guess the concept is to have the materials readily available to make a variety of products for various purposes. And, those who watch your videos may agree that they, too, want to buy into the MLM so they can do the same . . . make money while they’re making videos of products . . . some sell them on Etsy or other websites . . . some have worked out a way of getting people to buy finished products for some of their functions . . . so, it may not be the MLM that is bringing them money, but YouTube and their other marketing ideas . . .
Well, she didn’t make the strides she thought she would make. She made almost 100 videos. She didn’t have a lot of subscribers . . . and no one signed up under her for the MLM venture . . . thus, she was calling it quits . . . It makes me wonder if she gave it enough time . . . or just got discouraged . . . or ran out of money . . . There are many factors involved . . . but one observation I made was that she didn’t seem to be enjoying herself or engaging with her audience . . . I didn’t feel that what she had to share was of great value to me . . . I wasn’t drawn in . . . She didn’t seem to have the confidence in herself that others seem to have . . .
We all can’t be socially engaging, confident and crank out winning videos . . .
Just food for thought . . .
And, it comes down to how much time are you able to devote to your blog, vlog, MLM, store, etc. It does look like fun . . . and seeing people with expensive homes, going on major shopping trips . . . and traveling . . . or wearing expensive clothing and jewelry . . . driving fancy cars . . . It is, obviously, more than meets the eye . . . they may have other employment . . . they may be wealthy with a trust fund . . . they may be lucky . . . or it’s all a scam . . . I don’t have all the answers . . . I’ve just been making observations . . . I have found that I genuinely have to care about the person before I’ll subscribe to their YouTube Channel. It’s like choosing a friend. Some people you’re drawn to . . . and others you’re not . . . The same holds true for blogs . . . You share their interests . . . or you don’t. The good news from all of this is that you can do what you set your mind to accomplishing. You may not become a millionaire, but you may decide that isn’t important to you . . . You may have other goals . . . and those goals will shape your blog, vlog, videos, etc. And, in the process, you’ll grow as your success grows . . . maybe with baby steps . . . but you’ll be moving in the right direction. Another observation I’ve made is that some popular YouTube Channels lose their quality over time . . . either the people involved lose interest or become so comfortable that they forget their subscribers or they’re so “full of themselves” that they feel whatever they do will be loved by others. I don’t know . . . but I have unsubscribed . . . and if more people do the same, maybe the quality will improve . . . or the views will decrease . . . these are indicators that popularity is decreasing . . . The same is true for blogs . . . fewer people stop by to read what you have to say . . . Yes, we all have bad days, but it is important to have something meaningful to say . . . from time to time . . . I do appreciate your stopping by. Leave me a comment, if you so desire to do so. I’m interested in what you have to say.